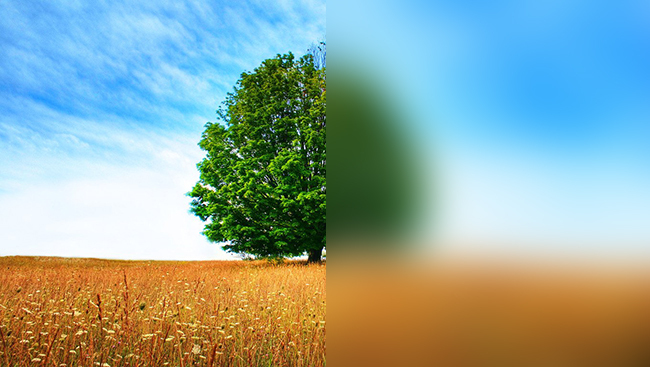 How Cataract Patients See the World? Is it possible to cure it? What does IHH do for this matter? Medical check-up on 726.222 people. Since 2007 IHH has facilitated periodic cataract surgeries in 13 African countries in total which are as follows: Togo, Benin, Nigeria, Ghana, Chad, Uganda, Tanzania, Sierra Leone, Niger, Sudan, Ethiopia, Mozambique, and Somalia. In 2014 we have established an eye hospital in Niger where surgeries are carried out regularly. You can fund the surgery of an African cataract patient to regain his eyesight by donating 500 liras only. You should see the patients leaving the hospital with smiling eyes that are able to see and pray for the donors. Because if you see them they will also see. In Niger, where deserts make up 60% of the land, due to inadequate healthcare service there is a significant number of cataract patients: 130.000. Here the predominant cause of cataract is grain of sand getting into the eye, which is one of the causes of cataract. IHH helped the establishment of an eye hospital in Niger’s capital Niamey in 2014. The hospital, which brings hope and light to thousands of patients who are unable to get surgery due to lack of financial and technical resources, aims at doing surgery on 6.000 patients in 5 years. Moreover specialized doctors flying in from Turkey provides medical training for the local doctors to become qualified to do the surgeries. IHH helped 109.261 patients regain their eyesight so far. As of 2017, the project launched by IHH Humanitarian Aid Foundation in Africa 10 years ago called “100 Thousand Cataract Surgeries in Africa” has been completed. The project is to become globalized with the launch to be held in Istanbul on November 25. 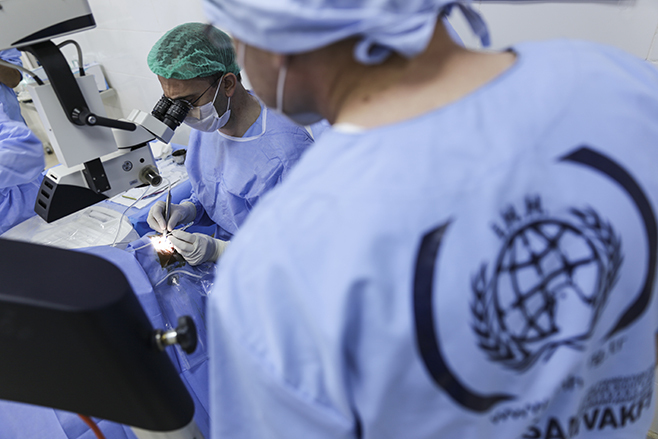 IHH Humanitarian Relief Foundation began a project to carry out 1000 cataract surgery operations with its partner organisation Tadamun in Sudan's Darfur.